The Trends Collection Aztec Coffee Mug is a 350ml ceramic coffee mug with silicone band and push on lid. 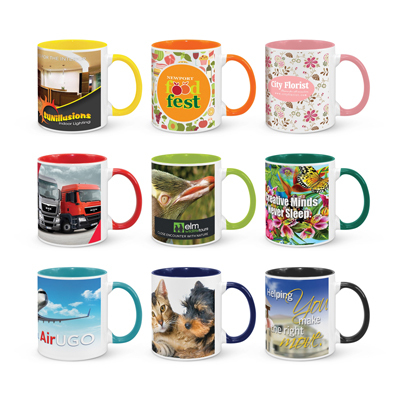 White mug with 12 colour options for the band. The Trends Collection Madrid Coffee Mug is a 300ml ceramic coffee mug. 9 colour options with White. 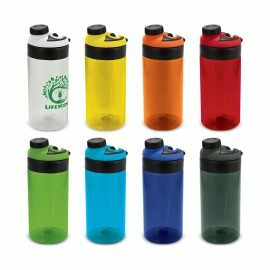 Great branded promotional drink ware product. 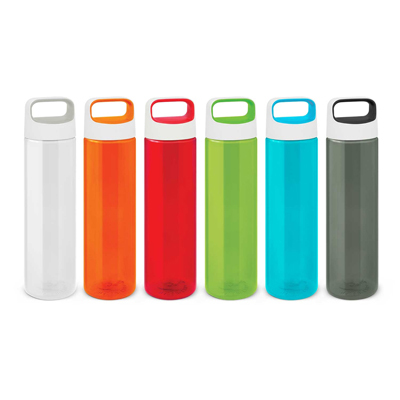 The Trends Collection Solano Drink Bottle is a 650ml translucent drink bottle. Secure on lid. 6 colours. 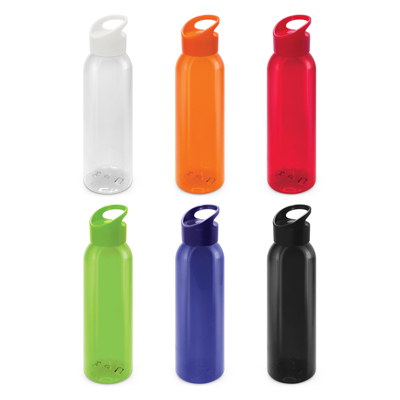 Great branded promotional drink bottles. The Trends Collection Accent Drink Bottle is a 400ml water bottle shaped like a notebook. Lid and Ring colours mix n match. Great branded drink bottles. The Trends Collection Olympus Drink Bottle is a 600ml translucent drink bottle. 8 colours. Wide Top Opening. Great branded drink bottles. 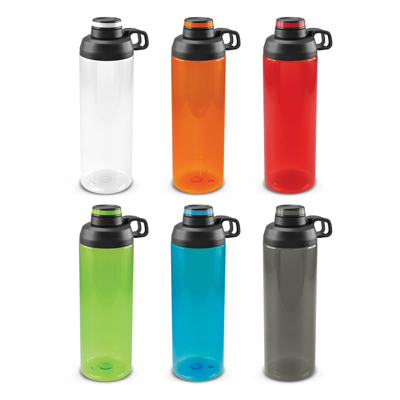 The Trends Collection Triton Elite Drink Bottle is a 750ml drink bottle. 10 bottle colours. 9 coloured lids. Great branded mix n match drink bottles. 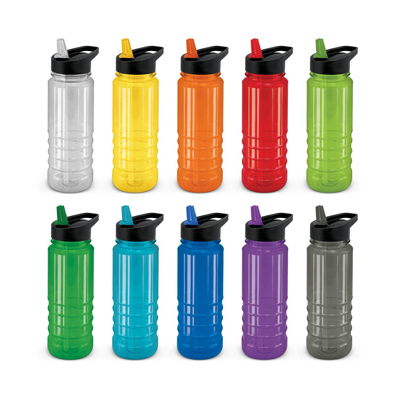 The Trends Collection Triton Elite Drink Bottle is a 750ml drink bottle. Black or Clear bottle. 9 coloured lids. Great branded mix n match drink bottles. The Trends Collection Tornado Coffee Cup is a 400ml double wall coffee cup. Radical twist pattern stainless steel. 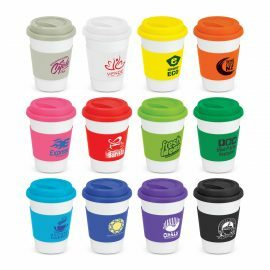 Great branded reusable coffee cups. 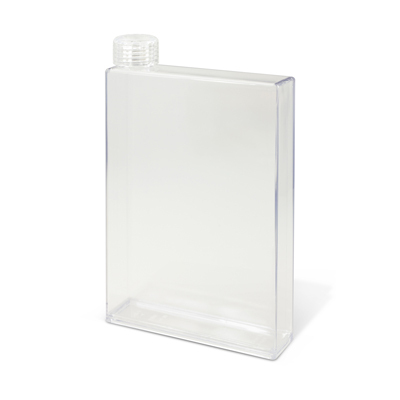 The Trends Collection Camaro Drink Bottle is a 750ml translucent drink bottle with secure on lid. BPA free. 13 colours. Great branded drink bottles. 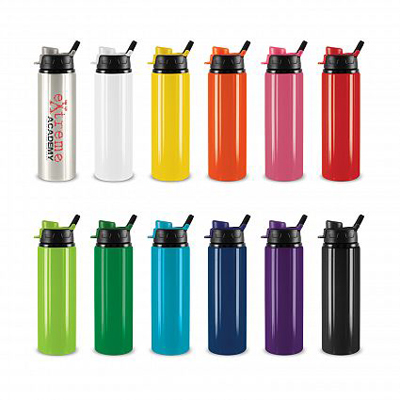 The Trends Collection Oasis Drink Bottle is a 750mm aluminium drink bottle with leak proof snap cap lid. 12 colours. 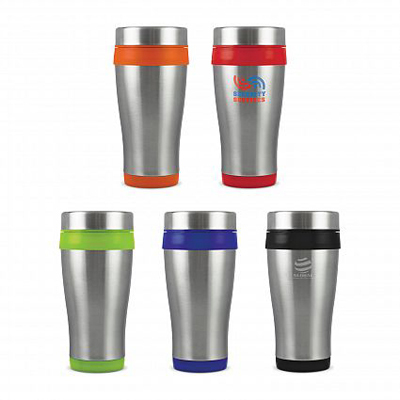 Great branded promotional drink ware products. The Trends Collection Octane Coffee Cup is a 400ml double wall cup. Stainless Steel outer. Screw on lid. 7 colours. 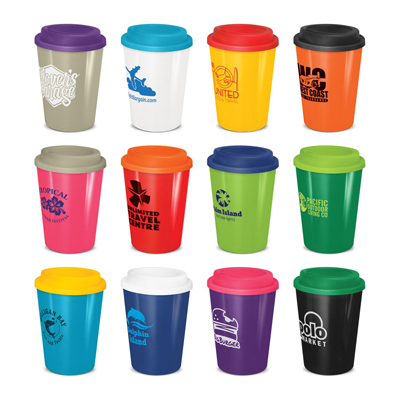 Great branded reusable coffee cups. 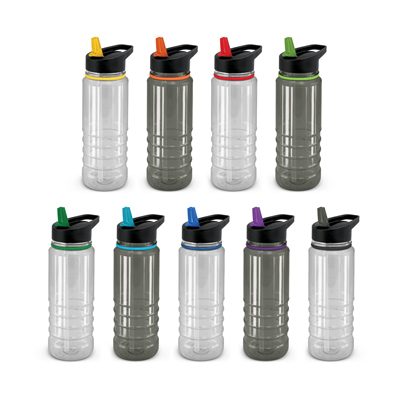 The Trends Collection Triton Drink Bottle is a recyclable 750ml BPA free drink bottle. 9 colours. 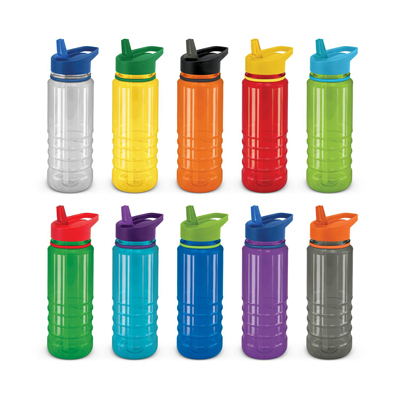 Great branded promotional drink ware product. 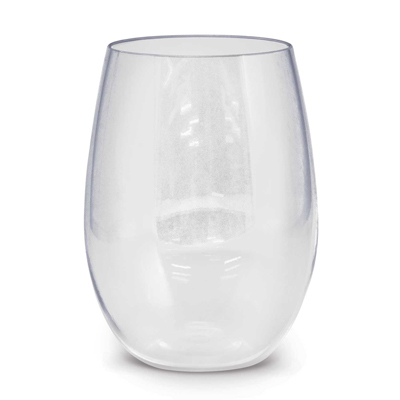 The Trends Collection Vino Tumbler is a contoured 370ml glass tumbler. Multiple branding options available. Great branded tumbler glasses. The Trends Collection Notebook Water Bottle is a 500ml water bottle with screw on lid shaped like a notebook. Full colour print. Branded water bottles. The Trends Collection Cordia Cup is a smart 350ml double wall coffee cup. 5 colours. Push on lid. 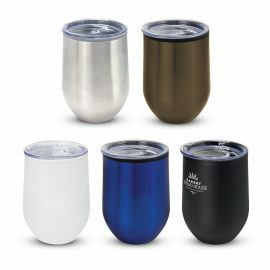 Great branded stainless steel reusable cups. The Trends Collection Aspen Travel Mug is a 350ml double wall travel mug. Screw on lid, stainless steel outer. Great branded travel mugs. 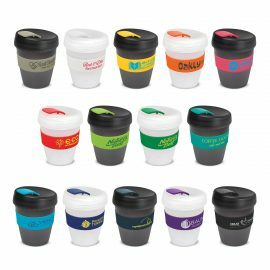 The Trends Collection Cafe Cup is a 350ml double wall reusable coffee cup with secure screw on lid. Mix n Match. 12 colours. Great reusable coffee cups. The Trends Collection Urban Coffee Cup is a trendy 400ml double wall coffee cup. Diamond patterned stainless steel outer. 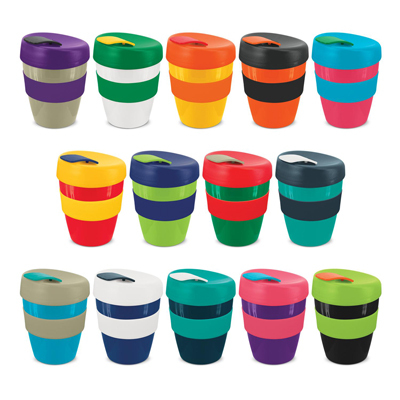 Great reusable coffee cups. The Trends Collection Accent Water Bottle is a futuristic 400ml bottle shaped like a notebook. 7 colours. 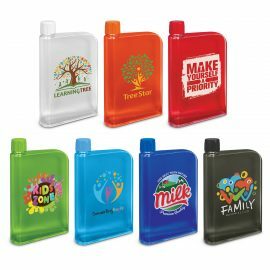 Great branded promo water bottles. The Trends Collection Express Cup Deluxe Frosted is a reusable 350ml coffee cup with heat resistant band. Screw on lid. 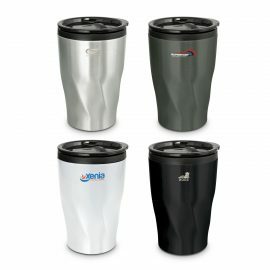 Great branded coffee drinkware promo product. 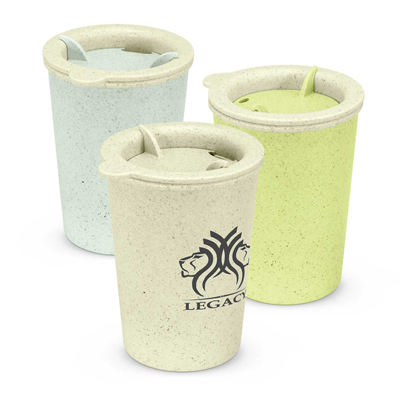 The Trends Collection Express Cup Natura is a reusable 350ml rice husk coffee cup with heat resistant band. Screw on lid. 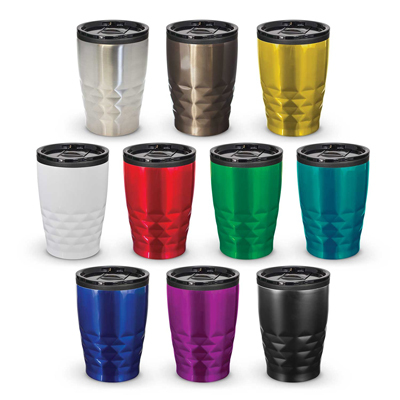 Great branded coffee drinkware promo product. The Trends Collection Express Cup Deluxe 350ml is a reusable coffee cup with heat resistant band. Screw on lid. 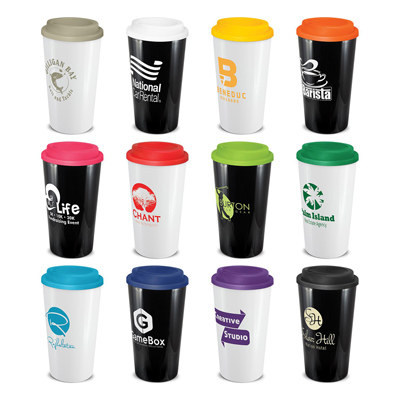 Great branded coffee drinkware promo product. 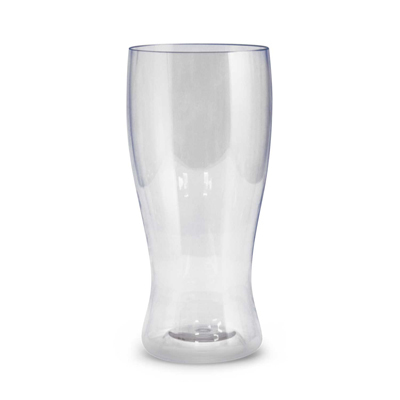 The Trends Collection Polo Tumbler is a contoured 410ml tumbler made from Tritan. 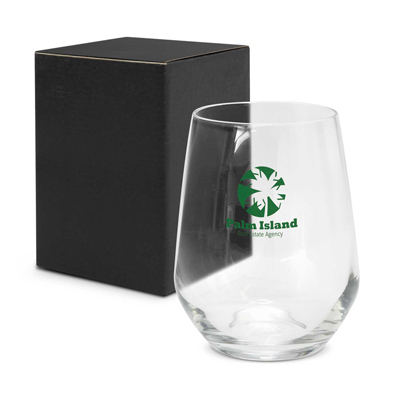 Affordable event glass. Great branded glassware from Trends Collection. 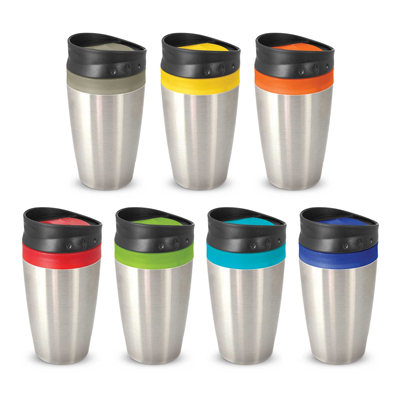 The Trends Collection Choice Cup is an eco friendly 300ml double wall reusable coffee cup. 3 colours. 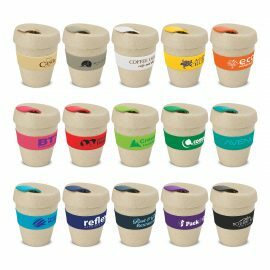 Great branded eco reusable coffee cups. The Trends Collection Eclipse Drink Bottle is an affordable 700ml translucent drink bottle. 6 colours. BPA free. 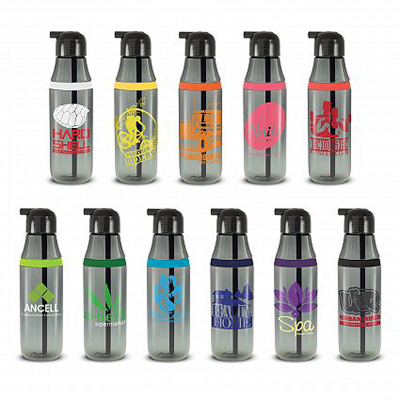 Great branded Trends Collection drink bottles. 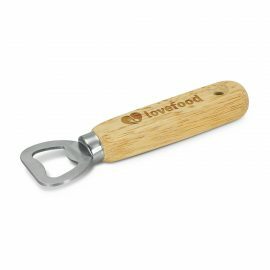 The Trends Collection Boutique Bottle Opener is a smart metal bottle opener with wooden handle. Laser Engraved. 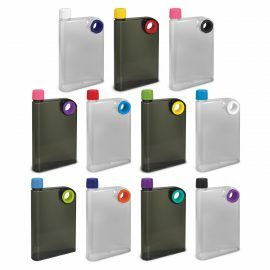 Great branded practical promo products. 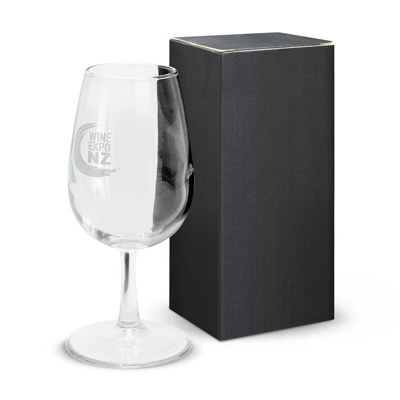 The Trends Collection Chateau Wine Taster Glass is a small 215ml wine glass. Ideal for wine tastings and festivals. Branding options to suit. Great branded wine glasses. The Trends Collection Euro Tumbler is made from Tritan. 450ml. Can be used as a wine glass. Great customised tumblers for indoor and outdoor use.